Situated on the eastern side of the Vercors Massif, at the base of the French Dolomites, Gresse en Vercors is a gorgeous village resort that is naturally endowed with beautiful settings and surroundings. The sparkling rivers, tranquil pastures and lush forests of the area's Regional Natural Park make up a protected nature reserve that is perfect for both activities and relaxation. As well as its own charms, the village enjoys spectacular views of the limestone Grand Veymont, at more than 2,300m the highest mountain in the Vercors. Founded as a ski resort in 1965, Gresse en Vercors may not be the largest resort in the Alps but it makes up for that with beauty and charm. It offers a generous range of runs between 1,245m and 1,800m, catering to beginners and more advanced skiers and snowboarders. The runs are distributed very evenly between green (beginner), blue (intermediate), red (advanced) and black (expert). As such, it’s highly suitable for families and groups of different abilities. 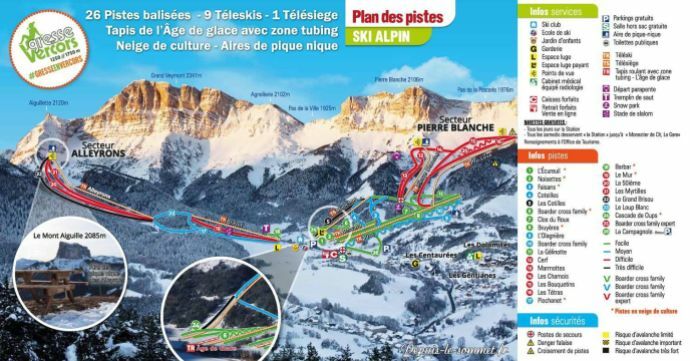 There are 21km of slopes to enjoy, with 27 pistes served by 11 ski lifts, so you can travel around the resort with ease. There is also a snow park which caters for adventurous snowboarders who want to try out their jumps and tricks. Alternative winter activities include tobogganing and snowshoe hiking. As for apres-ski, there are several excellent local restaurants and bars that residents can sample, offering the region’s delicious rustic cuisine. Paragliding is a widely enjoyed activity in this region as well, and in the summer months hiking, trail-running, rafting, fishing and mountain biking are all popular too. Gresse en Vercors is known as one of the most snow-sure resorts in the French Alps. The latest snow report shows that in the 2018/19 ski season, Gresse en Vercors has received a total snowfall of 234cm, with a maximum base depth of 115cm and a maximum summit depth of 205cm. 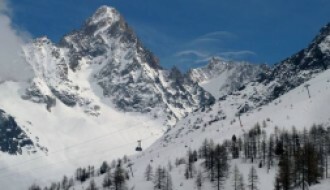 The average snow base depth is a very respectable 61cm, with an average summit depth of 108cm. 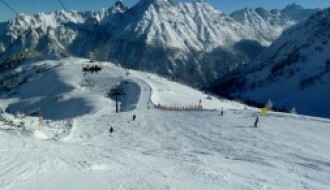 Gresse en Vercors has enjoyed 14 snow days in total, with the biggest snowfall recorded at 45cm. The resort also has more than 40 snow cannons to call upon, covering potentially more than 50% of slopes, to ensure fine snow coverage even if the conditions waver. For the very latest snow report from the region, take a look at our Gresse en Vercors resort guide here. In terms of the general climate, the village of Gresse en Vercors is typical of the French Alps. It boasts average monthly temperatures ranging between -2°C during the ski season (January) and a very pleasant 15°C in high summer (July). Taken across the course of a whole year, the average temperature is 6°C. To see an up-to-the-minute weather report for Gresse en Vercors, check out our resort guide here. With a residential population of around only 400 people, Gresse en Vercors is one of the smaller village resorts in the French Alps, so even in the winter it never feels too busy and the queues for lifts are almost always short. With many resorts prone to overcrowding in high season, Gresse en Vercors’ tranquil air is definitely a main selling point for potential investors. And because of the modest population, the village enjoys an excellent community spirit and a high quality of life. That said, there is still some scope for it to grow and develop as a modern resort, which makes it an attractive prospect if you are thinking of buying a property in Gresse en Vercors. Many of the properties in this area are constructed from local stone and boast their own garden and swimming pool, such is the year-round appeal. A lifestyle where you can ski in winter and soak up the sun poolside in summer is naturally very appealing. The village is charmingly appointed and very well-kept by its residents. It features traditional buildings in the rural alpine style, with a decent offering of hotels, bars and restaurants. The nearest school is less than 30 minutes away by car. Investments are currently being made in the region to modernise the amenities and facilities available to the Gresse en Vercors’ local population and visitors. The local authorities are upgrading resort facilities such as ski lifts, and as such hotel amenities are also being improved constantly. The nearest international airport is Grenoble (located approximately 40km away), from which you can drive to the village yourself or take a taxi. The journey by road takes around an hour. 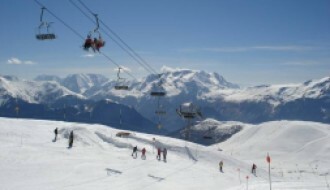 Public transport is also an option, with regular trains from Grenoble available into the heart of the region.